If you are missing entries in Day One Classic while using iCloud to sync. 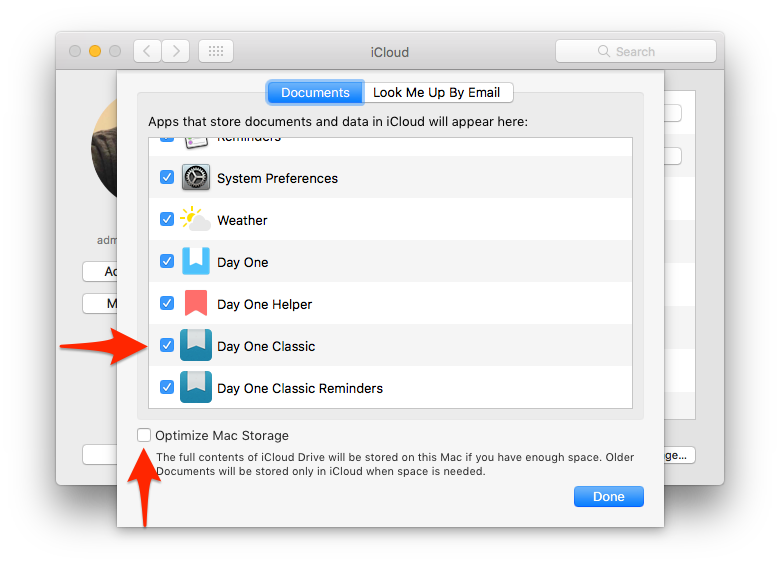 A new feature in macOS Sierra (10.12) enables users to save space locally by enabling "Optimize Mac Storage" in the iCloud settings. This has caused some older entries in Day One that are synced with iCloud to disappear from the app. Please try these steps to troubleshoot this issue. Open System Preferences > iCloud > iCloud Drive (options) > uncheck the option for "Optimize Mac Storage". Make sure Day One is checked in the list.